Though tried for intentional homicide and life in prison, the court reduced the sentence to 10 years in prison due to reductions for “unjust provocation,” “good behavior,” and on account of him being younger than 18. *Translator’s Note: The Turkish language does not have gender pronouns and translation into languages with gender pronouns poses a challenge. In this translation, we have opted to use several pronouns to describe the victim. In statements by the perpetrator, we used the pronoun “he” because the perpetrator argues that the victim was male. In statements by the court, we used the pronoun “they” because the sentences do not make clear how the court views the victim’s gender. 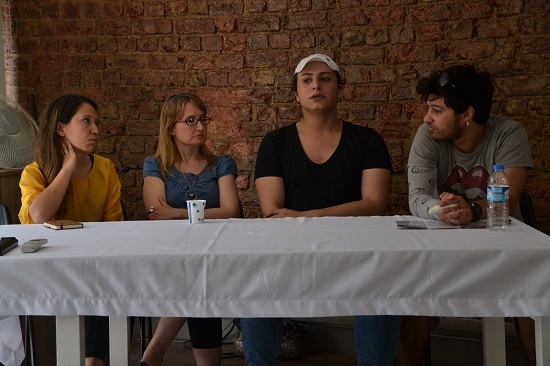 This choice does not reflect an openness by the court to identify the victim as the gender-neutral pronoun “they,” but to reflect that the Turkish language does not have gender pronouns. 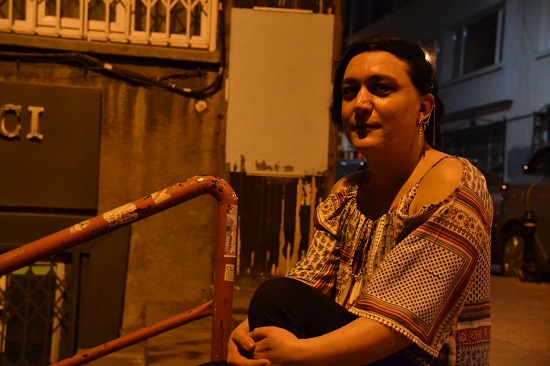 In the journalist Burcu Karakaş’s narration, we have chosen the pronoun “she” as the journalist works on women’s and LGBTI rights issues. Thousands march for trans pride: We need a law of our own! 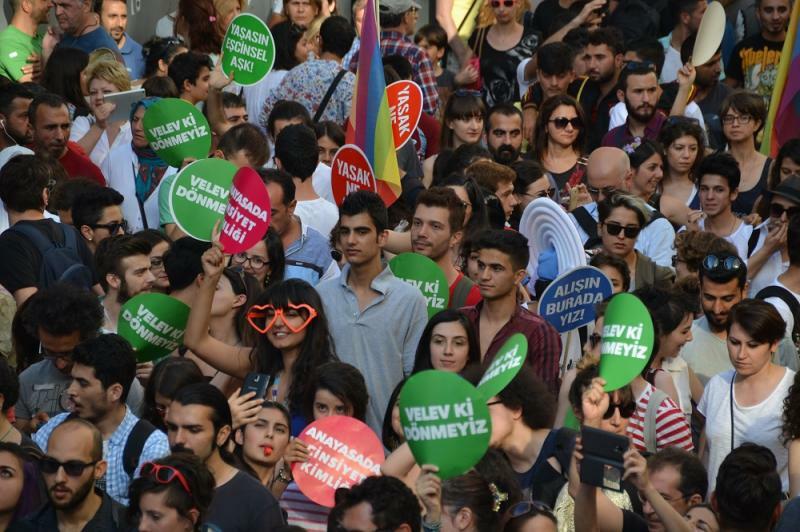 The 6th Trans Pride Week organized by Istanbul LGBTT Solidarity Association concluded with the Trans Pride Parade at the Istiklal Avenue with the participation of thousands. A 60-meter long giant blue-pink trans flag was displayed during the march. The slogans of the crowd who carried rainbow flags included “Trans is Life,” “Gender Identity in the Constitution,” and “We will not be Normalized.” A bilingual Kurdish-Turkish “We need a law of our own” placard was also displayed during the march. As a result of the police barricade at the Taksim Square, the march started in front of the French Cultural Center. Police did not allow the crowd through Istiklal Avenue, using the [anti-imperialist, anti-capitalist] Allied June Movement [started after the Gezi protests] march as an excuse. After negotiations, the barricade, which was protested with chants of “Police, become prostitutes instead, keep your dignity,” was removed.